Like so many other hobbies, there’s lots of stuff associated with sewing. How do you know you have the right stuff? Is having the wrong stuff making your sewing life harder? There are so many different tools and notions out there, and anyone who’s been sewing for a while will have plenty of opinions on what’s best, I’m sure. But I believe there is a very short list of stuff you absolutely need as a sewing beginner. This list is about the five sewing tools I think you’ll need to upgrade right away, as in, as soon as you decide to buy a machine and go for it! First of all, whatever you currently use as sewing scissors, I hope you are treating them with reverence! You know you should never use your sewing scissors to cut anything but fabric, right??? Now that we’ve got that IRONCLAD RULE out of the way…your beginner sewing kit probably came with a pair of lightweight scissors that look kind of like the red-handled ones above, yes? These are not good enough. Time to upgrade! Why? They will not keep a sharp edge well, they get nicks and scratches easily, and they are too lightweight to cut much of anything very well. 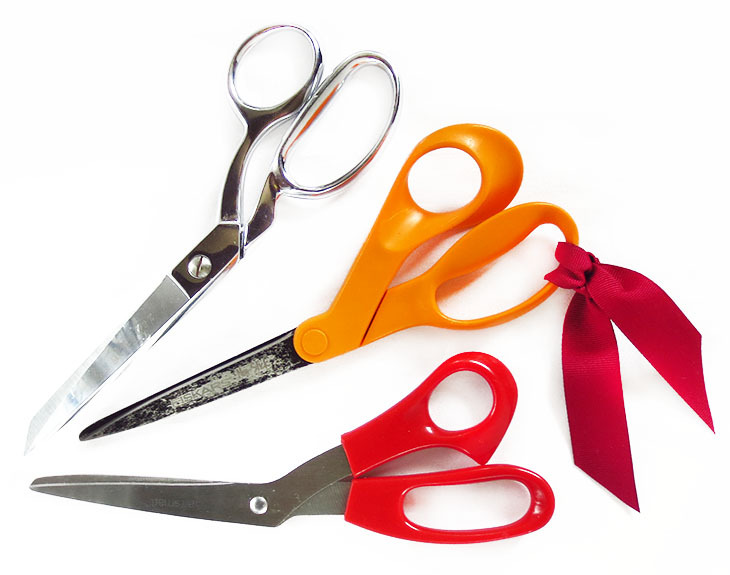 Pretty much any company that makes sewing notions will also make scissors, and they will probably be fine. Fiskars and Mundial are both brands I’ve used and loved. Treat them right (and get them sharpened when they need it), and you’ll be good! When you’re ready for another upgrade, you’re going to want to get a pair of Ginghers. What makes them the best? They hold a sharp edge like nothing I’ve ever used before (mine are four years old and have never been sharpened, and they are still sharp enough to cut my finger! ), and they are heavy enough to slice through just about anything! You’re also going to want a pair of tiny embroidery scissors or thread nippers (yes, I have three pairs…don’t judge me). These are essential, not just for cutting thread ends, but for getting into tiny corners and other awkward spots. 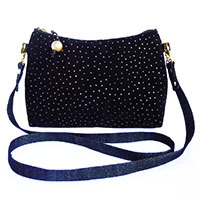 You will absolutely need a tiny pair of scissors for something like installing a welt zipper. 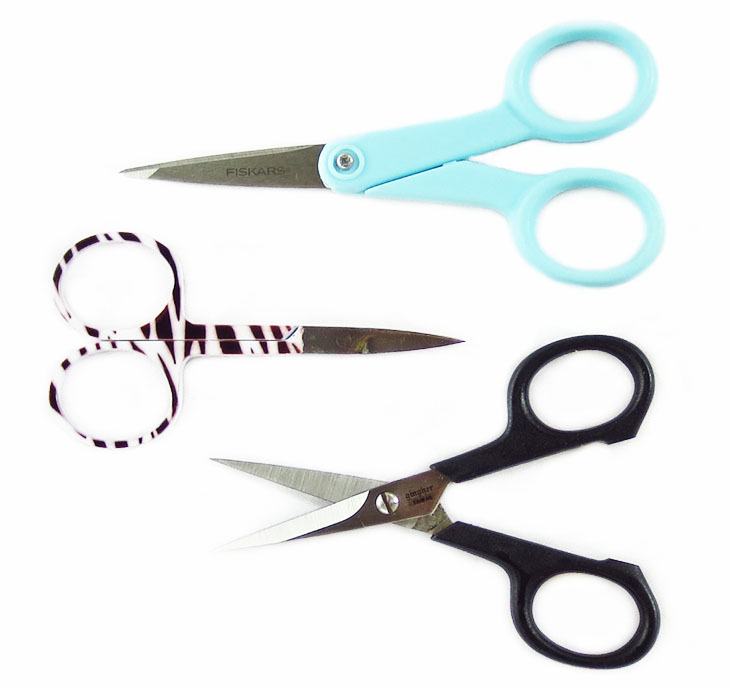 All sewing scissors come in a variety of styles and lengths, and what’s best is going to be whatever feels best in your hand. The most important thing is to get a good pair that will keep its edge, and then treat them with reverence! Just like the scissors, your sewing kit probably came with a small set that seem perfectly fine. Or maybe you bought your sewing notions separately, not as part of a kit, and you went with the least expensive pins because why not? Aren’t they all the same? Nope. The pins on the far left above are the cheap ones I started out with. These are not good enough. Time to upgrade! Why? The cheap pins are too short, too large (they will put large holes in your fabric), and are not very sharp. You’re going to want to immediately upgrade to something with a longer, thinner shaft and a sharper point! Quilting pins (the ones with bright yellow heads) are the ones I recommend to my students who are new to sewing. They are very long (1 5/8″), have a very strong shaft, and a nicely sharp point. The bright yellow heads mean that you are unlikely to lose them in your fabric or on your sewing table. 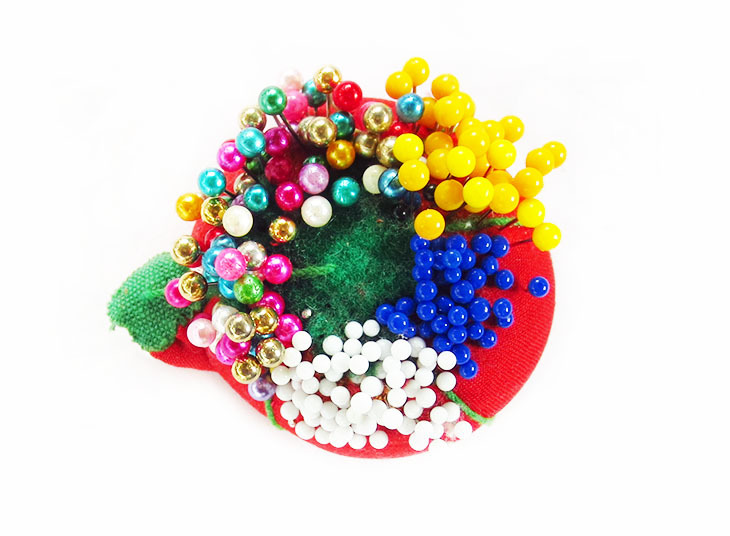 The pearlized pins are the ones I use the most, they are a great all-purpose pin! The pretty, shiny heads make them easy to spot, and they are nearly 1.5″ long. Perfect for most fabrics and most projects. The last three types of pins above are all glass-head pins. The glass heads are heat resistant, so that means you can iron over them/close to them without fear of a meltdown! They are essential when I am making neckties and need to press all those folds in place. They are also thinner than my regular pins, so I use them on finer fabrics (the blue ones are extra-fine). The blue/white headed ones are the same length (just over 1.25″), and the orange ones are nearly 2″ long. You can see the four types I regularly use in my pin cushion, above. The pearlized pins get the most use, I use the quilting pins for thick and heavy fabrics, and the glass head pins for thinner fabrics, and when I need to press over something. 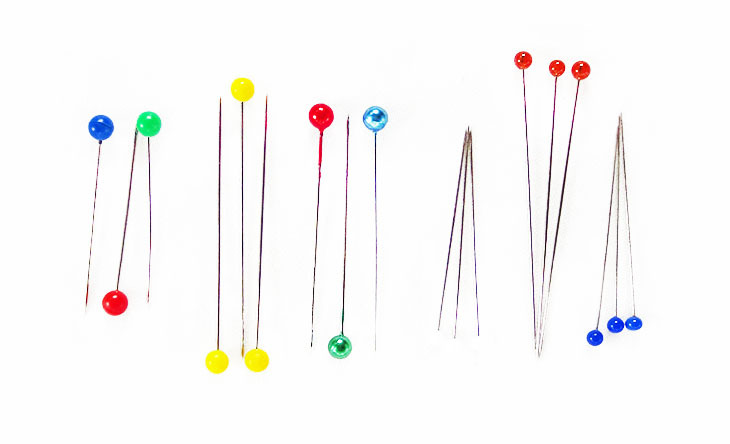 You might also want ball-point pins if you work with knits, or silk pins (aka dressmaker pins…the ones without heads) if you use lots of silk or other very finely woven fabrics. Your sewing kit probably came with something called a fabric pencil or a fabric marker. Just toss them in the garbage right now, they are not good enough. Time to upgrade! Why? The awful fabric pencils do not mark on all fabrics (or on anything very well), and they are practically impossible to sharpen without crumbling. The so-called “washable” or “disappearing” markers do not always wash out or fade away like they are supposed to! Also, the markers tend to bleed to the right side of the fabric…boo. Like most sewing notions, there are seemingly a million options for marking tools. My favorite is the old-fashioned tailor’s chalk – it marks on anything, and it always washes out (or sometimes even brushes away). The red and gray tools above are Clover brand chaco liners, which have powdered tailor’s chalk inside, and a little gear-like edge that make an incredibly sharp line. I love them. The blue triangle is your traditional tailor’s chalk, and the white rectangle is wax tailor’s chalk. White wax chalk will easily iron away on most fabrics, so I use it when I want to mark on the right side of fabric (FYI colored wax does not usually iron away)! Another great tool is the Pilot brand FriXion pens, which are erasable ink pens. They just so happen to disappear on fabric with a hot iron, so they are also great when you need to mark on the right side of fabric! I use them when I sketch out my favorite chevron wave pattern on fabric too light for the white wax chalk. Beware however, that if the ink sits too long (like overnight), it might not iron away. Finally, don’t forget the humble graphite pencil. A regular old pencil works wonderfully on lots of different types of fabric, and you can get them incredibly sharp when you need to make very fine marks. No matter what type of marking tool you use, remember to always mark on the wrong side of the fabric. If you must mark the right side, always test your marking tool on a scrap bit of fabric before you commit. This is less of an upgrade and more of an addition. The tape measure and seam gauge your sewing kit came with are essential tools you will use constantly throughout your sewing career. But, you will find different types of tools make different measuring jobs easier. You might end up with a massive collection of different types of measuring tools, but right off the bat you’re going to need some type of clear ruler. 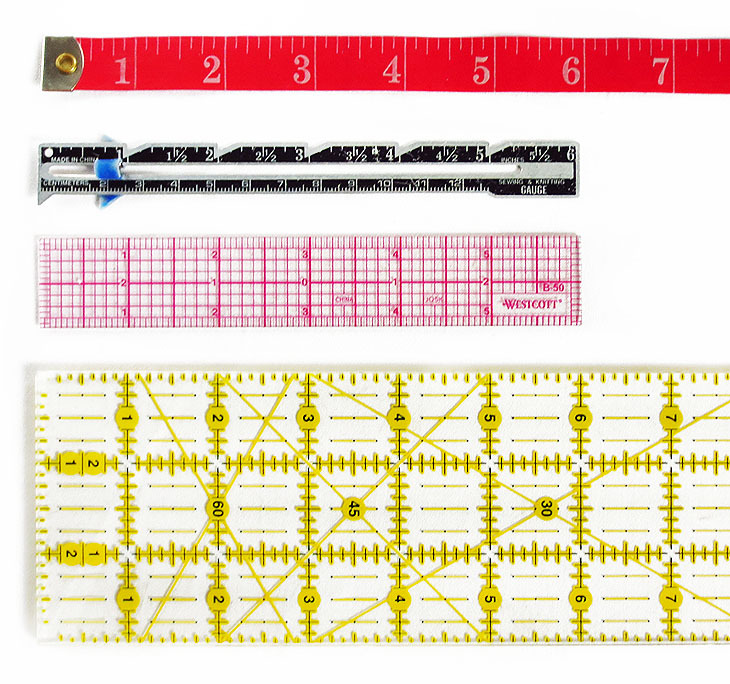 Drafting patterns, altering patterns, accurately pinning patterns to fabric, cutting fabric with a rotary cutter, and marking fabric are just some of the jobs that are easier with a clear ruler. These come in a dizzying array of sizes and shapes, but the ones I use the most are the 3″ x 18″ and the 6″ x 24.” I like the Omnigrid brand, because they have the bright yellow markings and the diagonal lines, but there are plenty of options. What’s important is that you can see through the ruler, and that the measurements (at least to the 8th of an inch) are clearly marked. 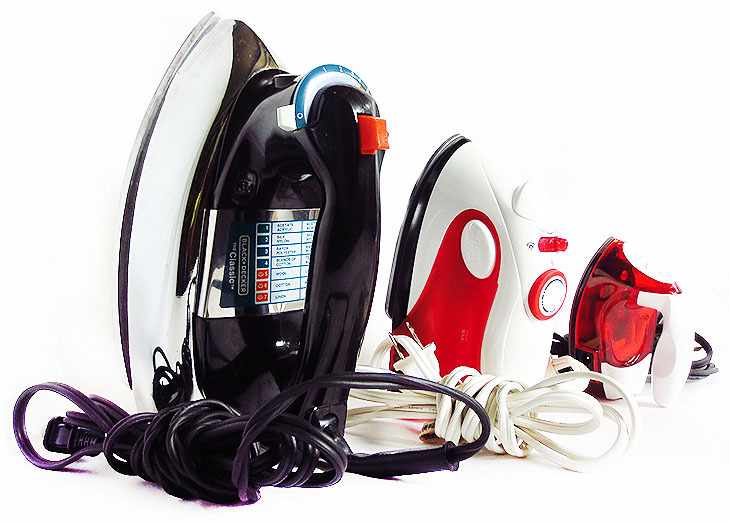 Nobody likes to iron…but ironing and pressing is essential to sewing success. You might as well have an iron that makes the job easier! You might have already owned an awesome iron before you started sewing, in which case you can skip this part! But if you only bought an iron and ironing board since you learned to sew, you might have been tempted to get a cheap one, not knowing why an iron could possibly cost $100, and what difference it could possibly make. Here’s why the $15 irons aren’t good enough: they are too light weight, they don’t get hot enough, and they don’t get steamy enough. Time to upgrade! This is why I love my shiny Black & Decker iron shown above. It is incredibly heavy, it gets blazing hot (like really hot), produces lots of steam, and it is less than $30 on Amazon! The other brand I own and love is Rowenta, but even the nicest Rowenta I’ve ever had is nowhere near as heavy as the Black & Decker (yes I own and use multiple irons!). The mini irons are not at all essential…but I like having the small one (the one in the middle), when I want to press inside one of my handbags. Mine is from Conair, and it obviously isn’t very heavy, but produces a good amount of steam, considering it’s small size! I hope you’ve found this useful! Having the right tools makes doing just about anything easier, but especially sewing! 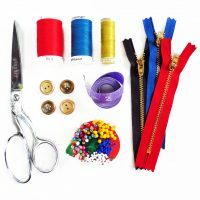 Particularly if you are new to sewing, you want to do everything you can to make learning easier and success more likely. Please share in the comments your favorite tools, or best upgrade to your sewing kit! My Ginger scissors are the best! Thank you for advising me to update! Gloria, if I had to only pick ONE essential tool, I’d say good scissors are it, and of course Ginghers are the best! I’m so glad you’ve found this helpful! Hello! I'm Valerie. 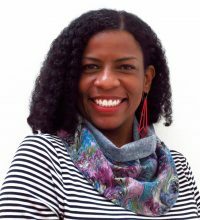 I'm a designer, sewer, and sewing teacher. I think about fabric and color and pattern. Sometimes I write about it, too. Have a look around, then drop me a line, let's chat. Check out the latest additions to my evolution collection. 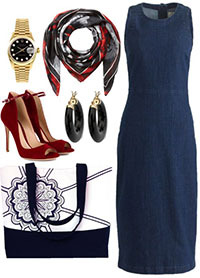 Subscribe to the Insider's List for outfit ideas & the first look at new collections. 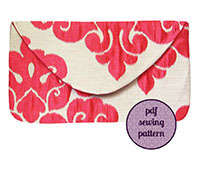 Learn with me in private sewing lessons in your home, and make your DIY dreams come true!